NO. 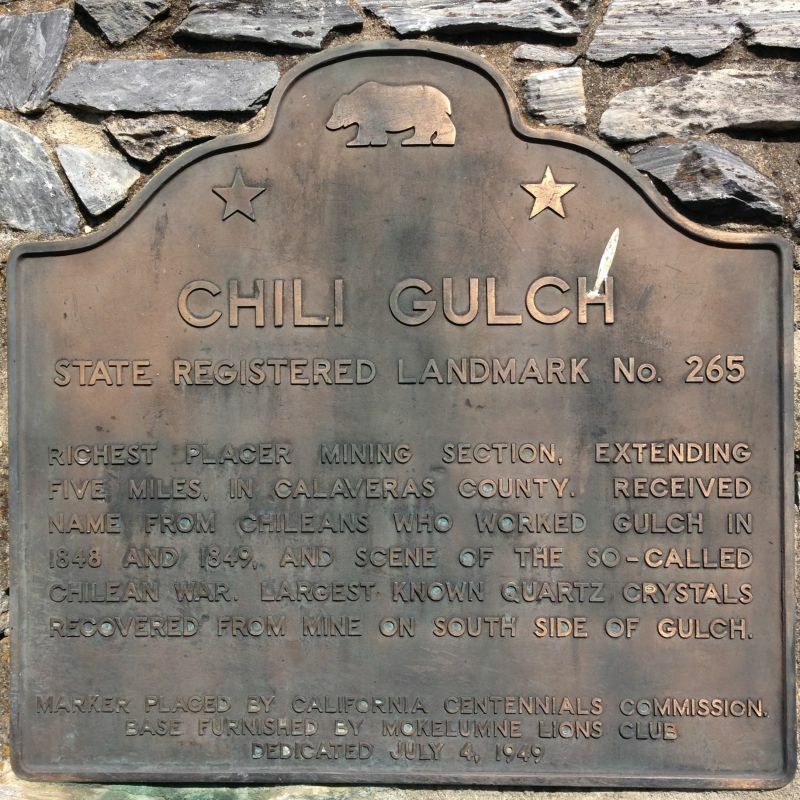 265 CHILI GULCH - This five-mile gulch was the richest placer mining section in Calaveras County. It received its name from Chileans who worked it in 1848 and 1849, and was the scene of the so-called Chilean War. 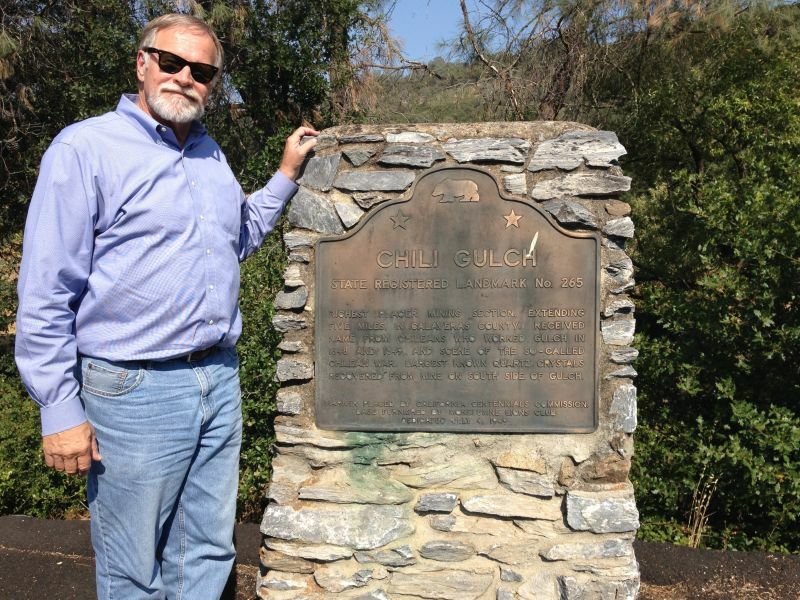 The largest known quartz crystals were recovered from a mine on the south side of the gulch.